re-innovation have worked with London Bike Hub on a number of projects, providing their pedal powered sound system, bubble machine and pedal smoothie machines. London Bike Hub are involved with all activities related to the promotion of cycling, including cycle training, educational workshops to get people onto bikes and bicycle maintenance. They approached us to build a pedal powered Scalextrix to provide a fun way of promoting cycling and we obviously accepted the challenge. 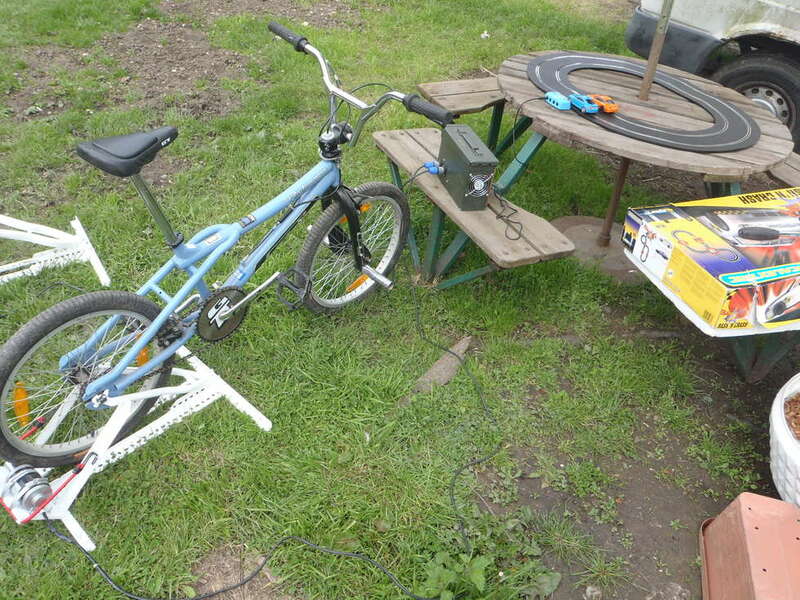 There are a number of pedal powered Scalextrix systems out there. The main design parameters were that it should be usable by relatively young children up to adults, it should be plug-and-play, robust and easy to set up. The system we designed was all of that and included an over voltage regulator, to ensure there is no damage to the Scalextrix cars. 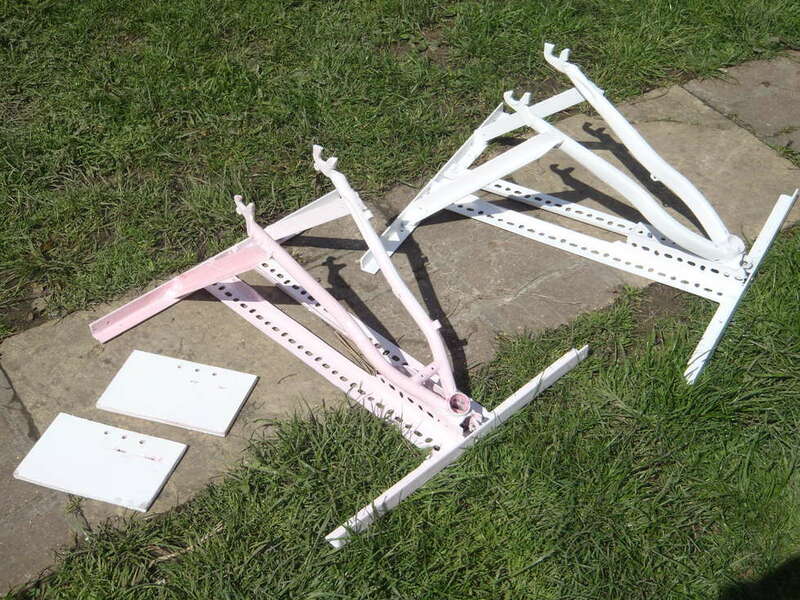 We built stands from various equipment including the back suspension forks from disused bikes and angle iron. 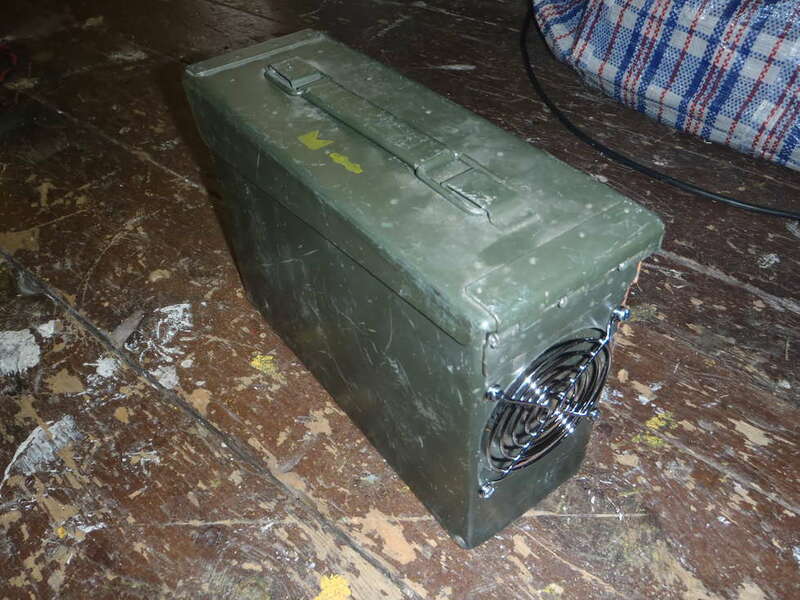 The regulator unit is housed in an old army ammo box. The generators are 100W motors from old electric scooters. The end result is great fun and generates participation and a little bit of healthy competition. London Bike Hub are based in Ealing, West London, if you would like to hire this equipment for your event then please contact them. For those interested in the nuts and bolts of this project then here is the build in more detail. 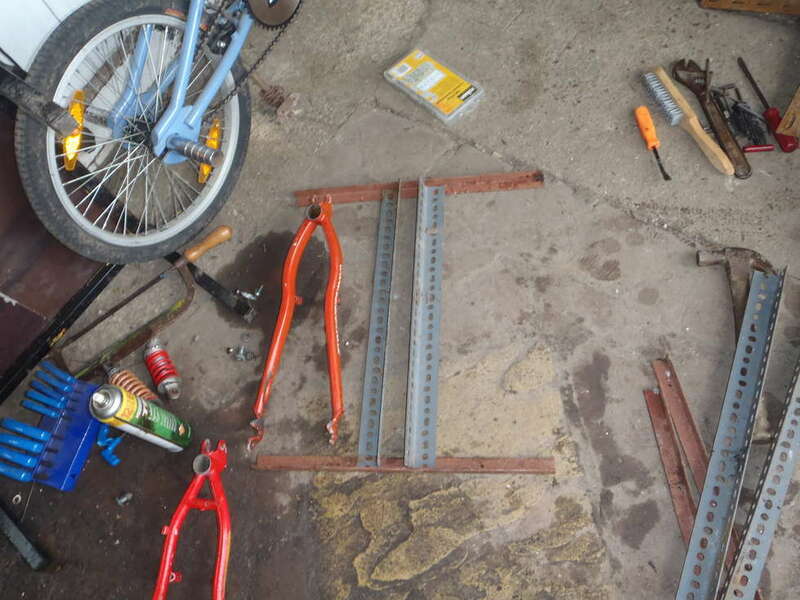 The stands were built from two old and broken rear-suspension bikes, along with some angle steel.The red and orange are cut from other bikes. They form the ‘holders’ for the back wheel axle of the BMX bike used. To hold the back axle, the donor bike frame has been enlarged, as the BMX axle is 14mm compared to the normal 10mm. 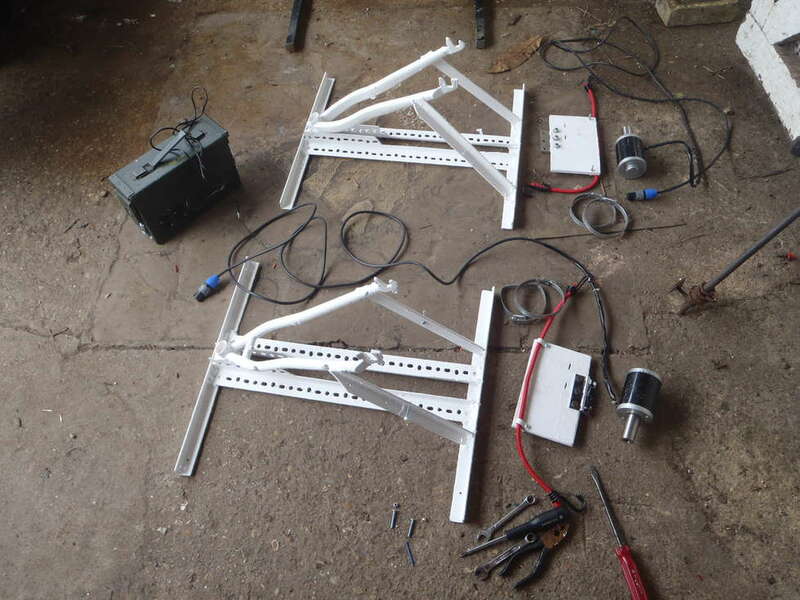 The welded stands were coated with a few coats of white Hammerite paint. 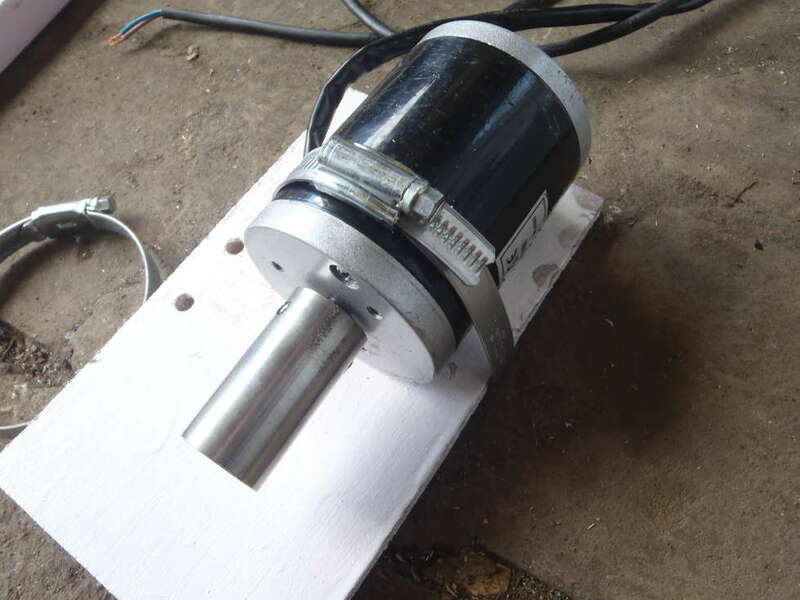 The generators are 100W 24V DC motors for electric scooters. They came with a toothed drive, which needed to be cut off. 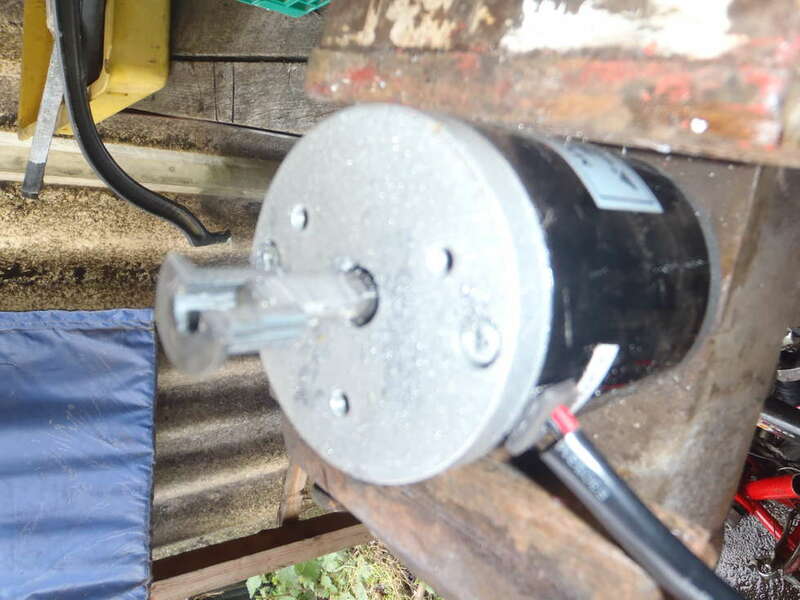 Jubilee clips hold the generator to a wooden plate. 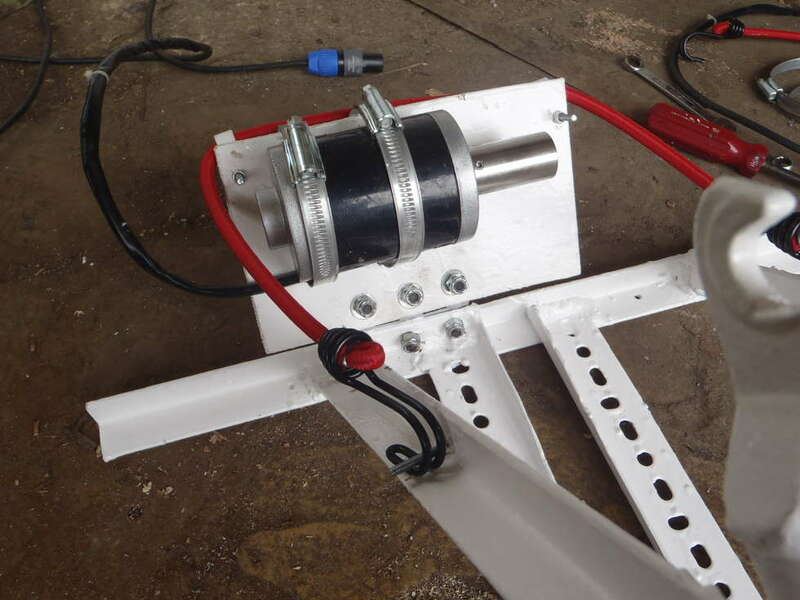 The finished generator – a bungee cord pushes the roller onto the back wheel. 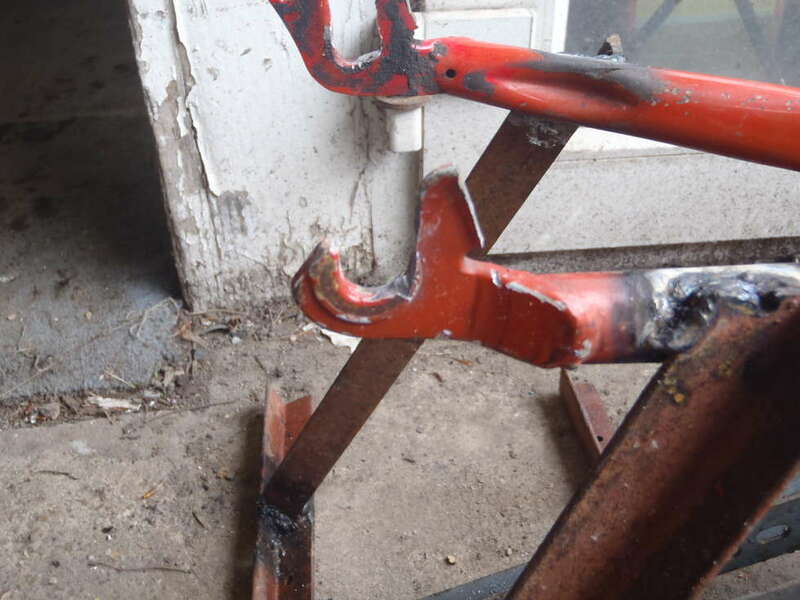 A hinge attaches the wooden plate to the frame. 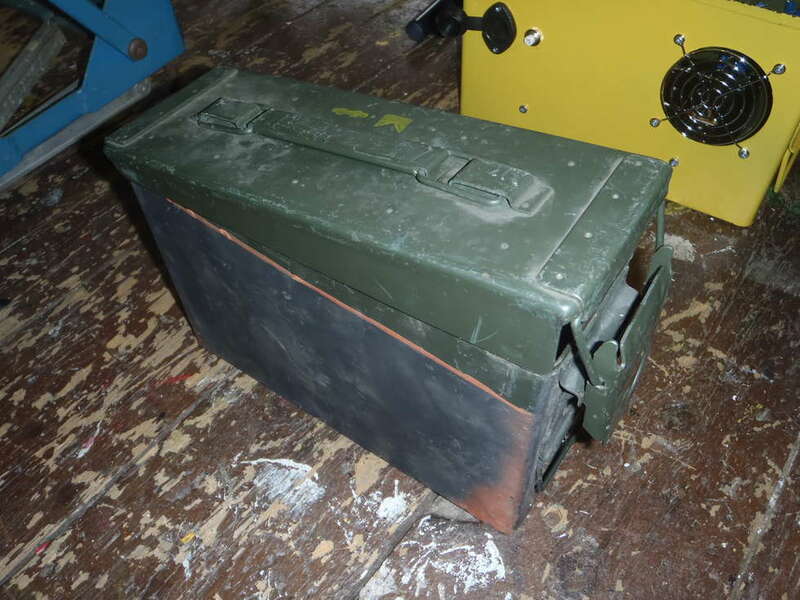 An army surplus ammo box is used to house the regulator and diodes. 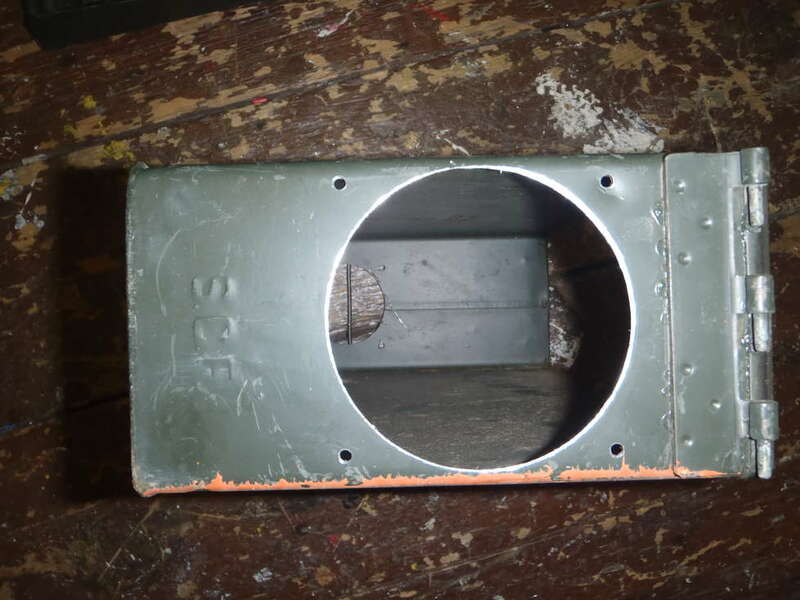 Holes cut into the box (with protective grills to stop wandering fingers) allow air flow for heat dissipation. 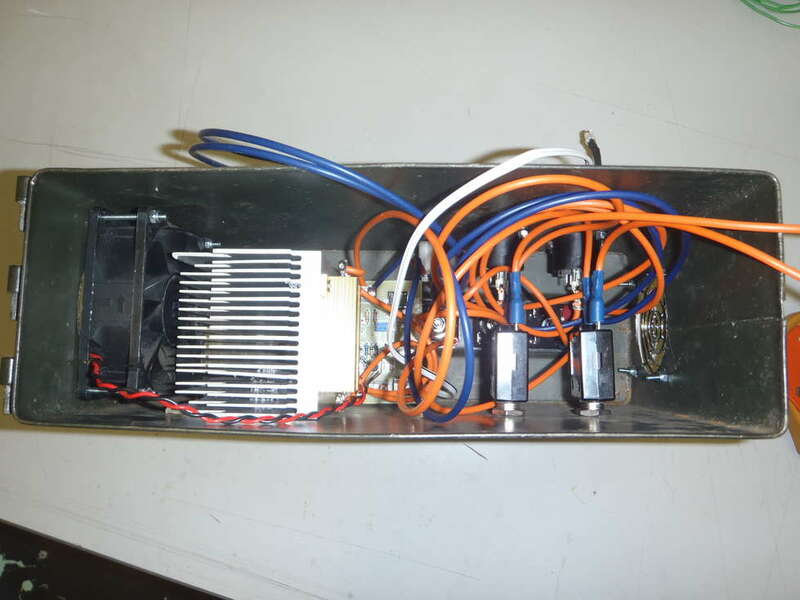 The regulator box insides: one of our pedal shunt regulators is used, diodes allow the power from one generator to flow to one track, resettable fuses are used on the outputs. The regulator is set to 16V DC, which is the max output from a Scalextrix set. 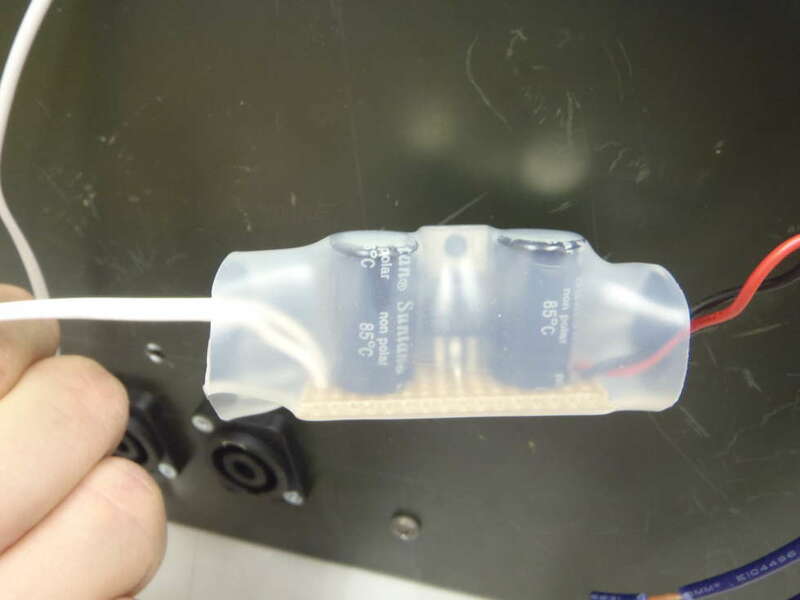 The cooling fan is 12V, hence a 12V regulator is required for the fan. 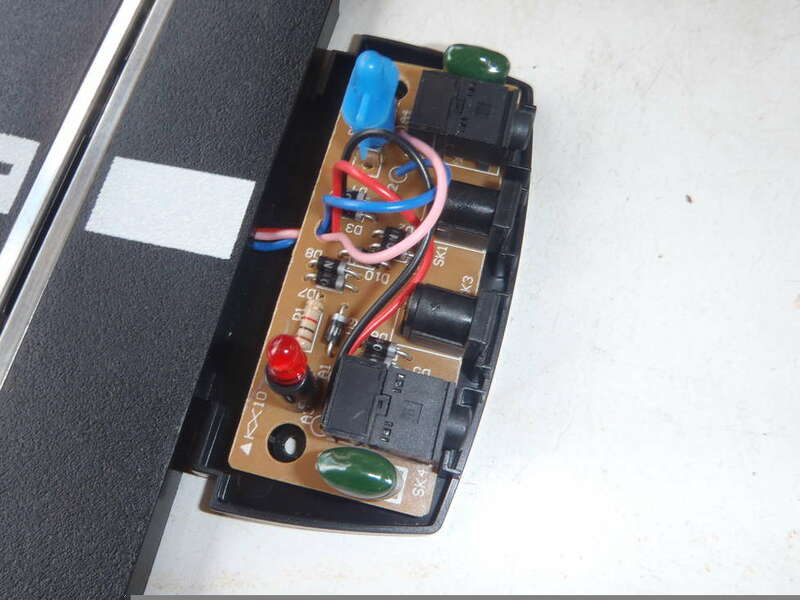 The power connector to the Scalextrix track was rewired for this system. Here are all the main parts before they are bolted together. 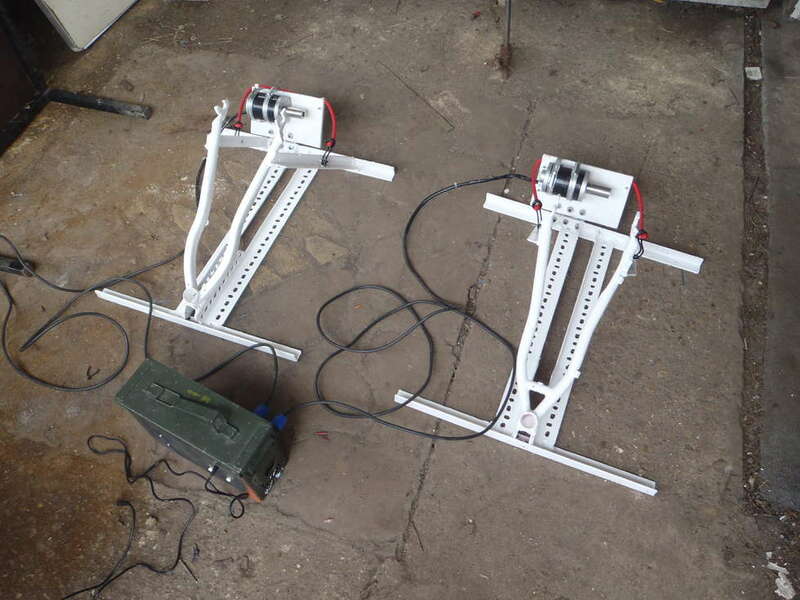 The finished BMX stands with generators plugged into the regulator box. The full system set up for a test run.